People are always thinking that Mike and I eat pretty decently. And for the most part, it’s true. But, lots of times our meals (especially dinners) are leftovers hobbled together into some sort of strange smorgasbord that I enjoy immensely, but Mike ends up thinking is questionable. Is there really anything so wrong with eating a meal that consists entirely of side dish trials?! I think not, but then again, my food taste is kind of questionable. Mike is usually good humored about the whole blogging thing – he patiently waits for me to take photos and we often eat our food on the cold side, or microwaved. Actually, come to think of it, sometimes he’s too good about it. Sometimes he’s the one insisting on taking photos when I just want to shovel food into my mouth as quickly as possible while it’s still hot. 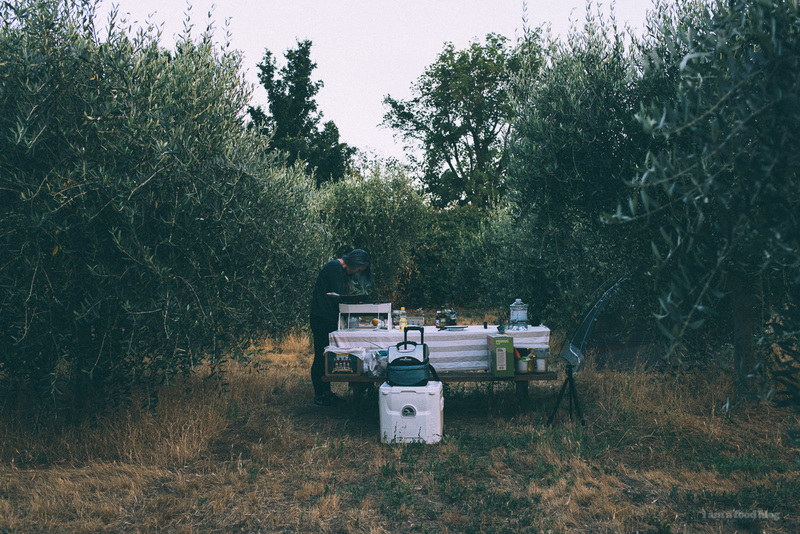 Case in point – we were camping (in an olive grove! I highly recommend it) and I made a quick gnocchi dish that I just wanted to shove into my face. Luckily Mike took some photos otherwise I wouldn’t be sharing this. 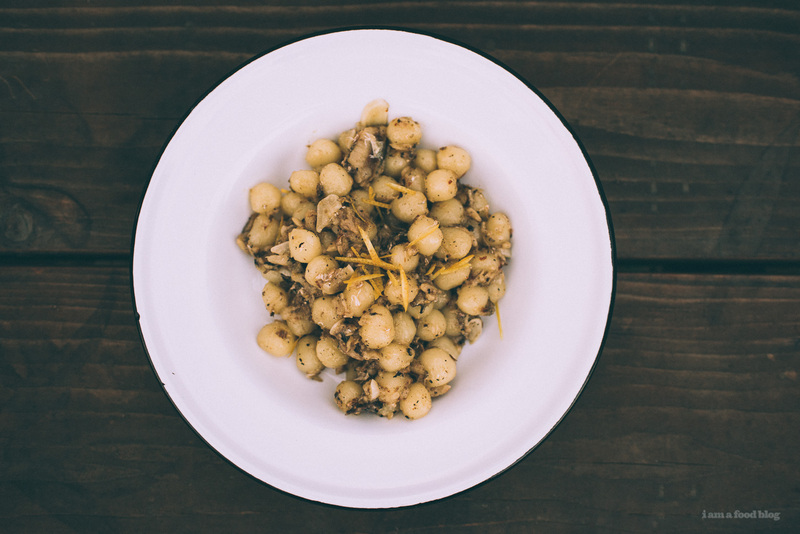 This actually happens to be one of Mike’s favorite kinds of pastas – a simple sardine and garlic sauce that can be paired with any pasta but goes particularly well with the pillowy bite of potato gnocchi. 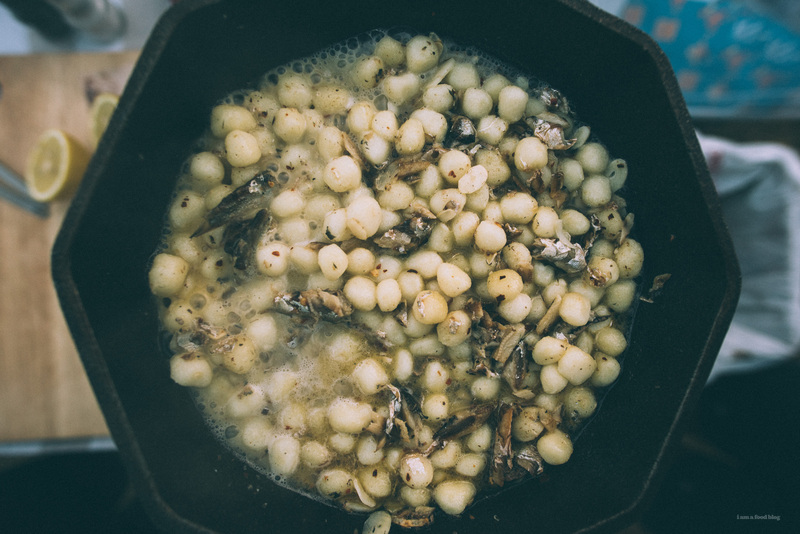 It’s perfect for a camp meal as well as it comes together in one pot and you really only need 5 ingredients (if you don’t count salt and pepper). Heat up a cast iron pan over medium high heat. Add the garlic, pepper flakes, and sardines, along with oil packed in the can to the pan and cook, stirring, until hot and fragrant. Add in the gnocchi and 1/4 cup of water and simmer, stirring often until the water evaporates. Continue to brown the gnocchi, stirring occasionally, about 5-7 minutes. Take the pan off the heat and squeeze in lemon juice and season with salt and pepper. Finish with lemon zest and enjoy. Note: If your gnocchi is on the larger side, you may need a touch more water and a longer simmer/browning session. Taste as you go. Optional: We love this with a sunny side up egg too – the runnier the better! This sounds so good and the kind of dish my husband would love! 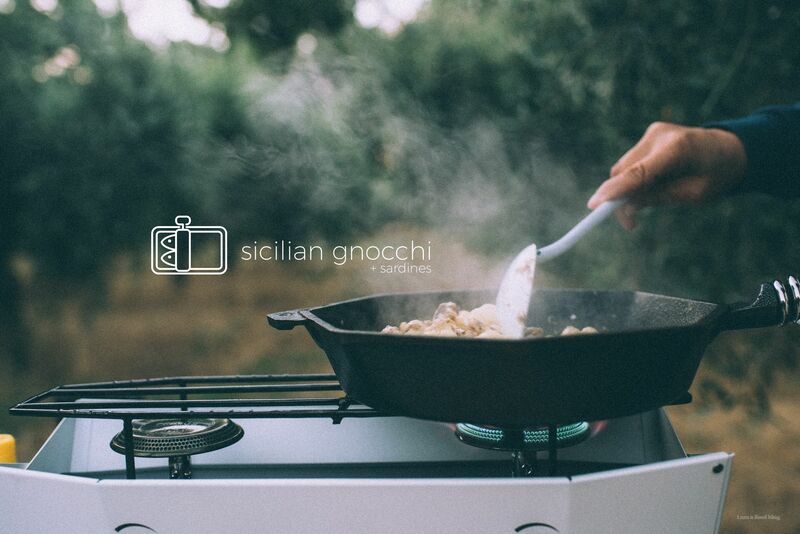 Is there a packaged gnocchi that you recommend? I’ve never found one I like … Thank you! i’m not a big buyer or packaged gnocchi, but these mini ones i got from world market were pretty good. i think it’s cause they were mini – sometimes i find packaged gnocchi too doughy/floury. hope that helps a bit! Yes!!! This sounds and looks amazing. I’m totally loving these outdoor photos too, they are fabulous! Love this! I am a big fan of sardines and I always get the side-eye from people when I eat them. So happy to see you using them too! How do you clean your iron pan after a meal like that? Your camp cooking is way more ambitious than mine is. 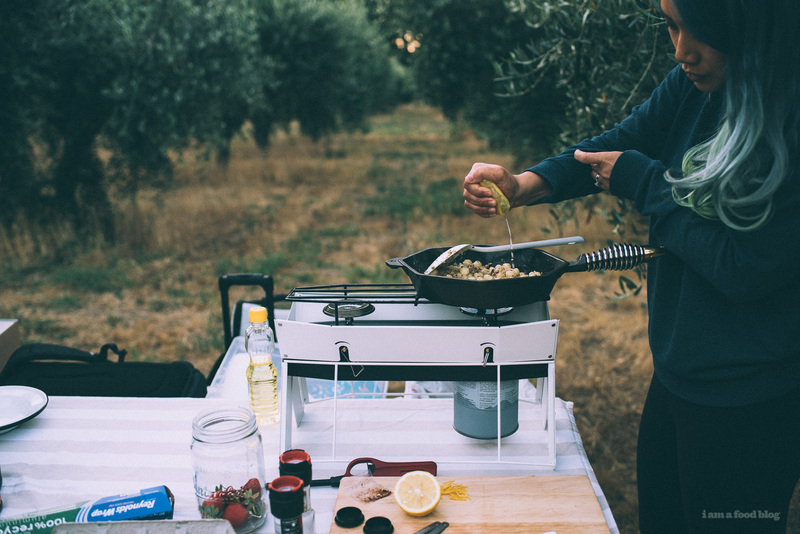 This looks fantastic- camping or not. Oh wow! My mom would love this and I will definitely make this for her. She loves sardines and this recipe is perfect. I will try to make it with a sunny side up egg. Looks delicious! The sardines is good ! its a Golteb . very very good golteb! Sardine and garlic sauce?! I’ve never tried anything like it and I’m so fascinated, Steph! 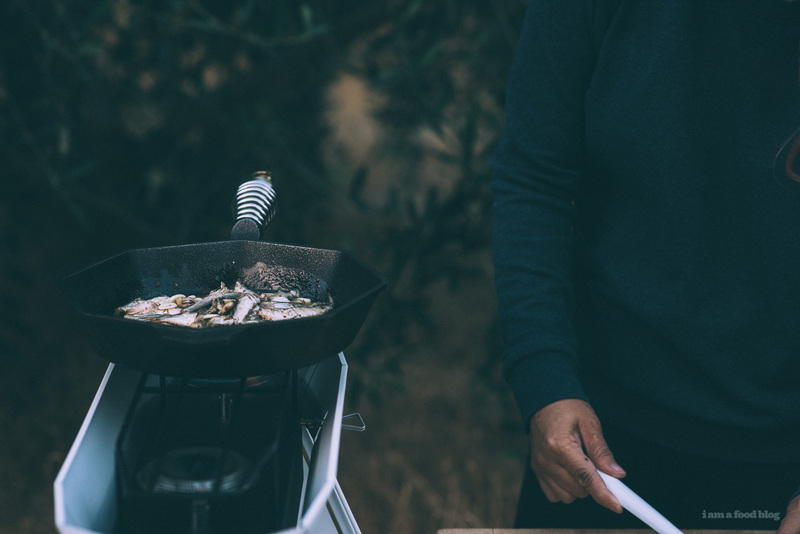 This sounds so perfect and savory and comforting for a camping dinner. I can’t wait to try (even if I’m just camping in my living room). Girlllllll I LOVE sardines and gnocchi and this sounds like heaven. Where in the world do you get such adorable mini gnocchi!!! Heart eyes forever! And these pictures are gorgeous! Thanks to Mike for insisting on them and bringing this yum pasta into the virtual world for our inspiration!! they’re the mini gnocchi from world market! i wasn’t gonna try them but they were so cute i couldn’t resist! Hi Stephanie, that seems like an amazing campsite! 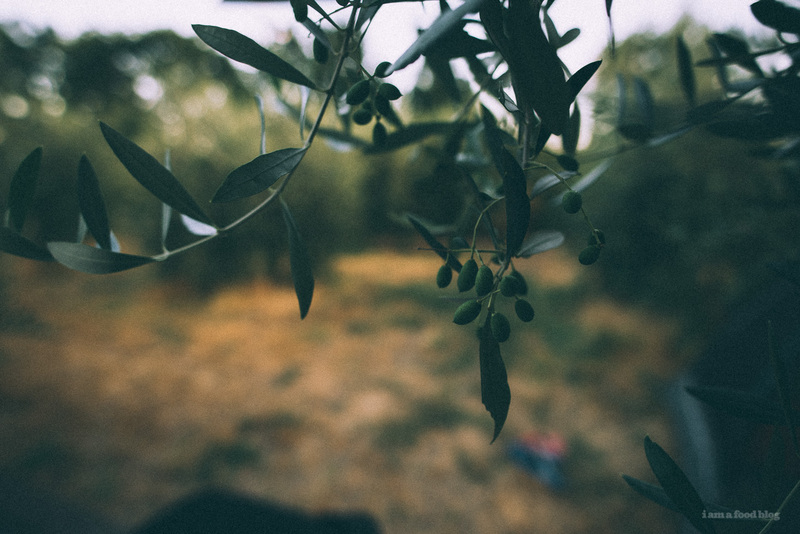 Which site number did you choose to be in the olive groves? This looks absolutely delicious, and simple as well. Good stuff. 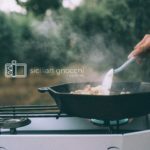 I came across this recipe 2 weeks ago while surfing your site. I cooked it last saturday night, followed the recipe exactly and it was GREAT. 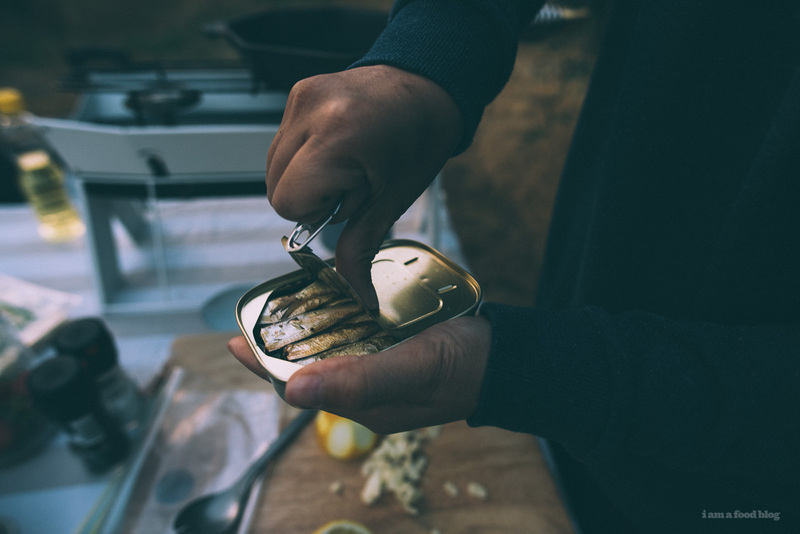 It is strong tasting with the sardines and garlic – which i liked ALOT. great recipe – thanks for posting it!